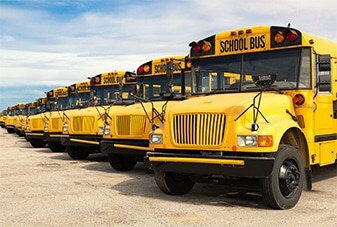 Big Rock’s fleet services cater to a range of business bus fleets, both large and small, including car rental and leasing companies, government and municipal agencies, telecommunications providers, food and beverage companies, manufacturers and corporations, national DRP insurance companies, and more. So no matter what the size of your fleet, or your business, Big Rock has the bus fleet services for you. 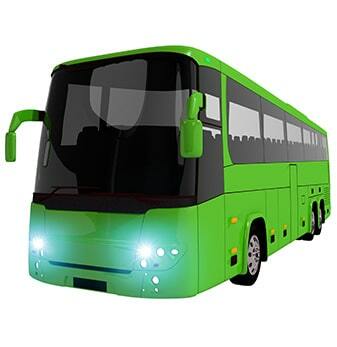 LOOKING TO REBRAND YOUR BUS? Big Rock fleet service experts are dedicated to helping you visually build your brand. When it comes to branding, visibility means everything. Big Rock gets your vehicles back on the road to success quicker than independent shops can. Plus, we give you flexible billing options to lighten the payment load. Our projects range from large to small. No job is too big, or too small! Contact us today to speak to one of our experts!